In emergency situations, providing reliable telecommunications access to affected communities as a humanitarian response is as critical as the urgent need for food, water, shelter and medical help. 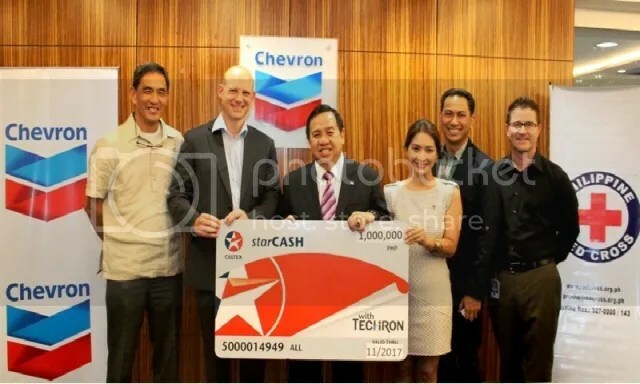 Chevron Philippines Inc. (CPI), marketer of the Caltex brand of fuels and lubricants, together with Chevron Geothermal Philippines Holdings, Inc. (CPGHI), Chevron Malampaya LLC, and Chevron Holdings Inc. (CHI), recently donated one million pesos in cash to the Philippine Red Cross (PRC) for victims of super typhoon Pablo in Compostela Valley and Davao Oriental. In the last quarter of 2012, Mindanao was left in a dreadful state after supertyphoon Pablo hit the island. The infamous tropical cyclone resulted in almost 2,000 deaths, $15.1 billion worth of damages, and 5.5 million people affected. Huawei Philippines Director Albert Antig (center, right) hands over the ceremonial check for US$10,000 to DepEd Undersecretary Francisco M. Varela (center, left). Witnesses are (from L-R): DepEd Adopt-a-School Program Operations Manager Merlie Asprer, DepEd Asst. Secretary Reynaldo Laguda, Globe Telecom Head for Corporate Social Responsibility Rob I. Nazal, and Huawei Philippines PR Manager Zhao Rui. Huawei Philippines has donated $10,000 to the mobile classroom project of the Department of Education (DepEd) in Mindanao even as it tapped leading telecommunications company Globe Telecom to facilitate implementation. Huawei is the technical partner of Globe in its ongoing $700-million network modernization program. “Huawei would like to give back to the community where it is doing business. We aim to contribute to nation building by participating in worthwhile initiatives involving education and the conservation of the environment. We believe that participating in this project is aligned with that vision,” said Albert Antig, Director, Huawei Philippines. 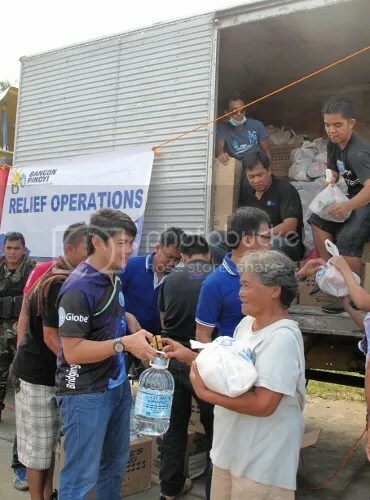 As residents of Davao Oriental and Compostela Valley continue to suffer from lack of food and clean drinking water due to extensive damage caused by Typhoon Pablo, Globe Telecom decided to intensify its relief operations in the two provinces to help those who are in need. 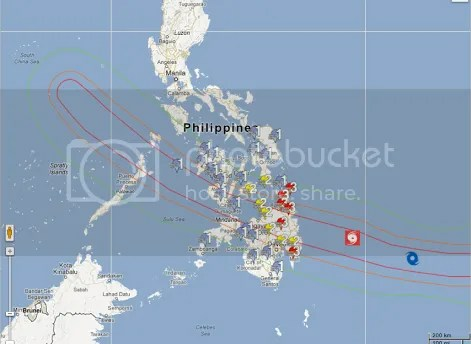 A crisis map through Google Maps and Person Finder are now available to help Pinoys in disaster-prone areas during typhoon Pablo (international name: Bopha). Globe subscribers can also access the information using their mobile browsers through Free Zone powered by Google.